274€ 2600mm Ø30mm 800g High quality Nemeth UT javelin made with an inaccuracy tolerant, narrow Nemeth javelin tip. 194€ 2600mm Ø30mm 800g High quality Nemeth UT javelin made with an inaccuracy tolerant, narrow Nemeth javelin tip. 255€ 2600mm Ø30mm 900g High quality overweighted, 900g Nemeth practice javelin. 243€ 2600mm Ø30mm 700g High quality underweighted, 700g Nemeth practice javelin. 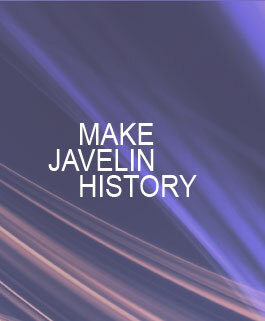 You can download our Men's Training Javelins catalogue here: Men's Training Javelins Catalogue.